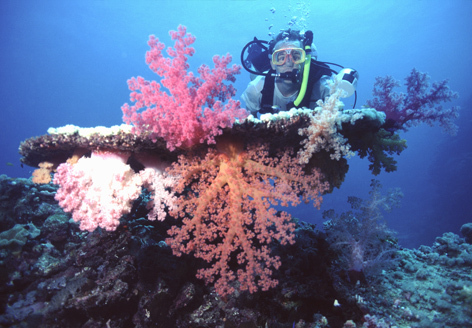 Living in Jeddah for over a decade, I have been extensively diving the reefs of the Red Sea on the Saudi Arabian side, which is not easily accessible to many divers due to the very restricted entry regulations. I want to provide information to interested divers and show with the photo galleries the beauty of the Red Sea and Saudi Arabia. Unfortunately I recently had to move to Riyadh, therefore for the time be-ing I can't introduce non-divers to the world of diving in my function as a professional PADI Diving Instructor - but I can provide you the names of other qualified instructors if you contact me.